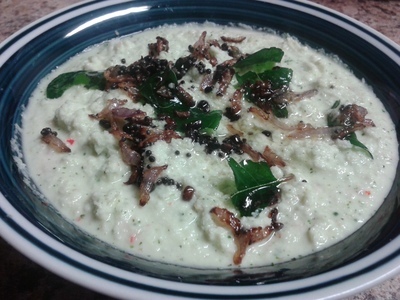 We usually use coconut chutney with dosa or idli (savoury crepe and cake). This delicious dip is quick and simple to make when you are busy. 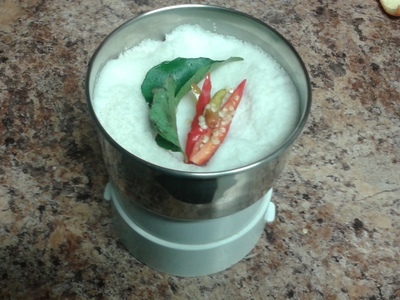 Add the shredded coconut, curry leaves and chilli into the blender. Adjust the chilli according to choice. 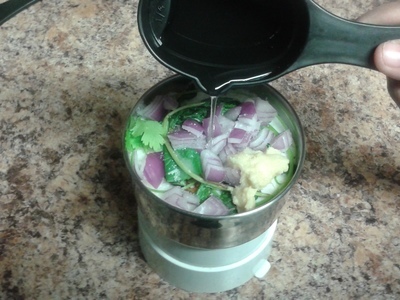 Add the chopped shallots, cilantro, mint leaves, ginger paste and salt into the blender. Add the water and blend well to form a thick paste. Adjust the amount of water to the desired consistency. For tempering, heat oil in a pan. Pop the fenugreek seeds first and then the mustard seeds. 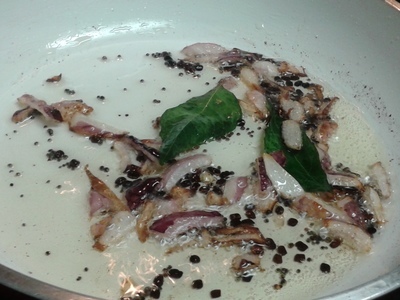 Now add the chopped shallot into the oil. When it starts to brown, remove from heat and add the curry leaves. Pour this over the chutney. Mix well.